What is the Best Clean Air Solution for Your Home ? Everyone knows that clean air is necessary for a healthy life. 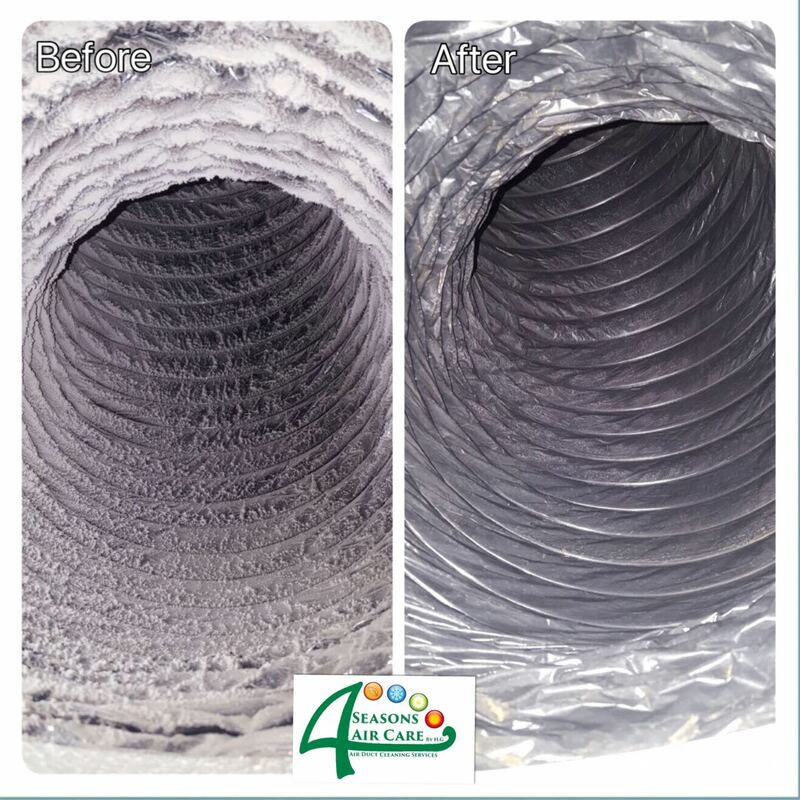 Many people do not know that the air inside your home can become unpleasant or unhealthy if you do not have ductwork cleaning done regularly. Think about the last time you sat down in the sunny living room and a puff of tiny dust mites danced to the air. Or perhaps you are petting your dog and could see the dander and hairs or ended up sneezing when they tickled your nose. When determining, “What is the best clean air solution for your home?” you need to understand first what is compromising the quality of the air. All these tiny particles lay on surfaces, infiltrate fabrics, and, especially, travel through the house air vents, dryer vent, and ductwork. Some problems, like mold on air vents, can cause serious health problems. 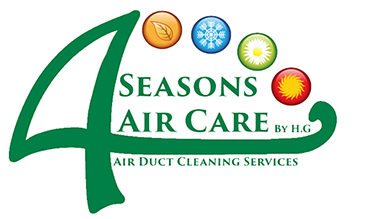 We at 4 Seasons Air Care (855) 512-2726 understand how all these things work together to make your air quality less than ideal. This leads us to develop a diverse approach to cleaning the air in your home. As a professional air cleaning company, we can deliver the results that you need for comfort and health. Even without overt symptoms, most home’s ducts and vents need cleaning at least two times a year. This could increase in houses with a lot of people, dusty or sandy environmental factors outside, pets, or those where people with respiratory problems, asthma, or allergies live. If you are unsure about whether it is time for vent and duct cleaning or not, call us at (855) 512-2726 and ask. 1 – An obvious odor of dust or other unpleasant smells when you turn on the heat, air-conditioning, or internal fan. 2 – A rapid replenishment of dust on furniture and other surfaces even if you wipe them off regularly. Also, visible dust moats floating through the air. 3 – Increase in coughing, sneezing, wheezing, asthma attacks, or allergic reactions for affected people inside the home. 4 – Visual appearance of dust, hair, pet fur, and other small debris on the external vents. Also, the same problem with the duct directly behind vent cover or any air filters that are accessible to you, the homeowner. 5 – An increase in home heating or air-conditioning bills due to inefficiency in the system. Clogged vents, filters, and ductwork make the systems work harder to deliver the same temperature air. Having a healthy home environment is about so much more than simply vacuuming the dust out of your air ducts and vents. Here at 4 Seasons Air Care approach the problem with a whole-home attitude. 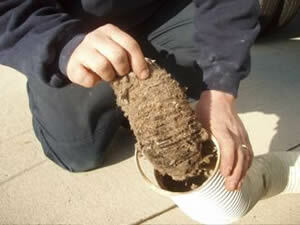 If you clean a dryer vent but ignore dryer duct cleaning, you will not get the results you want. The same thing goes for every other aspect of cleaning the air in your home. You can call us for more information, answers to your questions, or to set up an air duct cleaning appointment at (855) 512-2726. We have the experience and knowledge takes to improve your air quality in Georgia, USA. We know what is the best clean air solution for your home and are ready to deliver it to you. We do not only look at vents, either. Many factors go into great air quality at home or in any building. The holistic or whole-home approach includes more than removing dust and pollen. We also offer thorough carpet cleaning throughout the house, upholstery cleaning, and special room cleaning options. These tasks help get rid of the dust, pet dander, dust mites, and other materials that will infiltrate the vents and ducts and cause problems. Mold on air vents will be a thing of the past and you will breathe easier for it. We also offer deep cleaning and special treatments for pets or mold eradication. After all, what is air duct meaning without dealing with other problems in the home? These combined with dry cleaners, dryer vent cleaning, and ductwork cleaning allows us to deliver the healthiest home possible with the best quality air to you and your family. That is our number one goal. We want to help you live a healthy, comfortable, clean, and carefree life when it comes to breathing easier and enjoying your home. 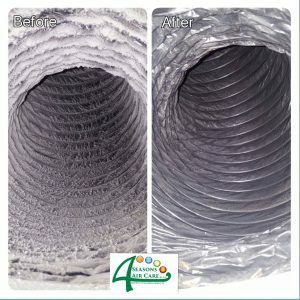 No matter what special circumstances exist in your home – furry pets, existing mold, or people with asthma or allergies – we strive to be the answer to the question, “What is the best clean air solution for your home?” 4 Seasons Air Care offers convenient appointments if you call (855) 512-2726 and ask about our certified duct cleaning services.